Happy Hamby Campers: Hello (and pomelo)! We finally met Louie yesterday (though I now think Lui is the correct spelling)! We were beginning to think we might leave before he arrived but he rolled in late that after-noon - and it was lovely to see him! We chatted a bit more today. 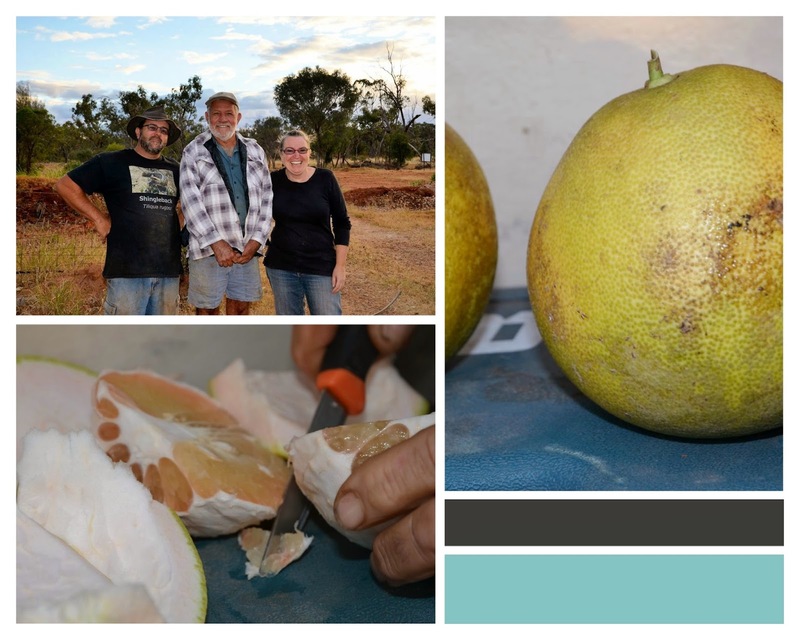 He used to have an exotic fruit orchard at Tully - but 20 years of work was wiped in the cyclone a couple of years ago. He brought pomelo, red dacca bananas, sugar bananas and navel oranges from the Coast - all grown by a friend. The red bananas and pomelo were quite new to us and we were keen to try pomelo when Lui offered a taste-test. What a great thing!